If you know me, you will know I hate Mac’s. However, the day has finally arrived where I decided to take a risk and go to buy one for myself. 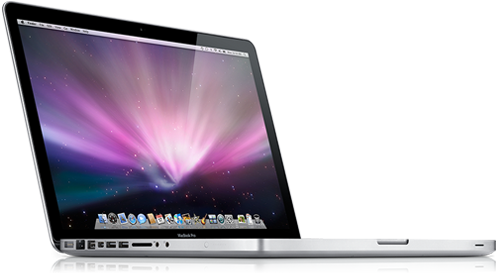 Not being a strong follower of the Apple movement, I purchased my MacBook Pro on sunday 7th June. I got home, installed some apps (dragging an icon around the screen seemed to be how you install an app), and started to get used to the interface. All was great until the afternoon on Monday. I had James, the designer @ Just Develop It send me a text message telling me Apple dropped the price of the MacBook Range and also upgraded all of the hardware… Gutted. I called the Apple Store straight away, and they said it would be fine to just bring it back and get a new one when it came in stock. Yesterday it arrived at the store so I went down and exchanged my old MacBook Pro for a nice shiny new one. They even gave me money back. Money Back for an upgrade? Are they mad. I dont know how I have gone from hating apple, to loving them within the space of a week, and also now being the owner of my second apple.